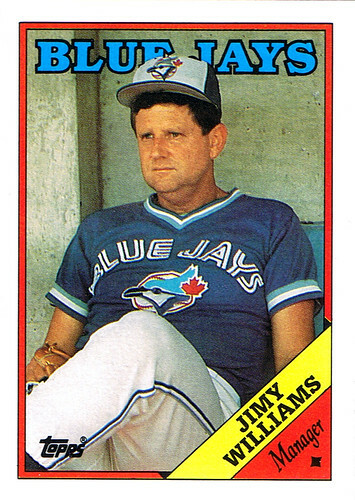 I never felt comfortable with Jimy Williams at the helm. 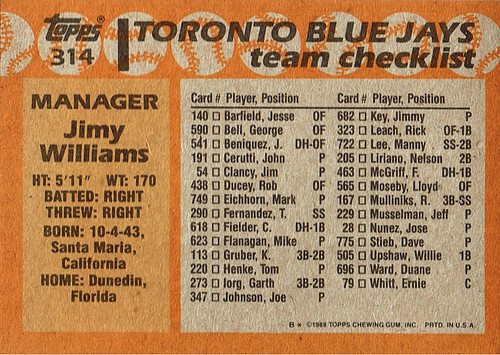 I liked Bobby Cox and I liked Cito Gaston, but I never believed Jimy Williams had what it took to lead my Jays to the playoffs. History proved me right. Bobby Cox managed our 1985 pennant winning team in his last Blue Jay season and we didn't win another until 1989, the year Cito replaced Jimy. Being a mega George Bell fan, Jimy never really had a shot with me. The two hated each other. Jimy Williams wanted Bell to DH, and Bell wasn't ready to give up left field. Jimy may have been right, but I wasn't going to hear it.